Cryptocurrency ‘mining’ usually refers to a person using their computer to participate in something called ‘Proof of Work’ (PoW), in order to help secure a cryptocurrency network and to generate new coins. The idea behind this system, which was first implemented by Bitcoin, is that each computer that wants to contribute to forming the distributed consensus, which keeps track of who has coins and how many, must prove that they have performed some calculations before hand. In return, they get a chance to be rewarded with freshly generated coins. If miners did not have to perform these calculations it would be very easy for them to lie and try to manipulate the network in their favour, effectively stealing coins from other users, but by forcing them to go through the computational cost of performing these calculations first you make it very expensive to attack the network – and the more mining power there is the more expensive it becomes. The problem with proof of work, as it is used to secure Bitcoin and many other cryptocurrencies, is that it is very wasteful. A huge amount of computing power, using vast amounts of electricity, are required to perfom calculations which serve no useful purpose in themselves – they are only there to prove that the miner has done something expensive. Cryptocurrency developers have therefore put a great deal of effort into coming up with less wasteful alternatives, and many different systems have been developed. Probably the most popular is Proof of Stake, which simply requires you to own a certain number of coins rather than perform a certain amount of work (the idea being that anyone with enough coins to attack the network would effectively just be attacking themselves, because they would have such a big ‘stake’ in the network’s success, so it would again be very expensive and illogical to do). But there are also several alternatives which maintain a ‘Proof of Work’ system, but try to use it to get miners to perform some kind of useful ‘work’ rather than just pointless calculations. Prime coin, for example, requires miners to search for Prime numbers – a kind of work which is useful for mathematics. There are also several alternatives which allow you to use your computer to contribute towards scientific research as the ‘proof of work’ needed to generate coins and contribute towards a cryptocurrency network. You can think of these as a kind of ‘proof of science’ system. These coins work in partnership with established distributed computing projects, which harness the power of ordinary computers to ‘crunch the numbers’ and anaylse data for important scientific projects. This can significianty reduce the cost of performing scientific research and can lead to breakthroughs, particularly in areas such as genetics and medicine, which would not otherwise have been possible. The great thing about these projects is that they work on any regular computer. You don’t need a specialist ASIC board or even a fancy top of the range gaming computer: you can take part and make a meaningful contribution to science whilst earning some extra pocket money at the same time using any normal computer – or even a smartphone! Gridcoin works with the largest distributed science computing project – BOINC. There is already a huge community of BOINC users, well developed software, and a wide range of science projects from various different disciplines taking part. You can even run BOINC software on a mobile phone! 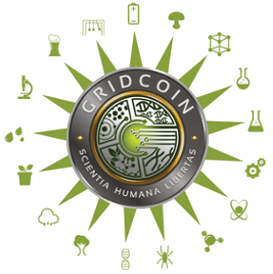 Gridcoin started its life as a hybrid system which required miners to perform conventional proof of work calculations and also contribute computing power to BOINC. They are currently making a transistion, however, to entirely remove the wasteful Scrypt algorithm PoW and use a combination of Proof of Stake and BOINC contributions instead. This means that you must own some Gridcoins already before you can start mining them. In order to take part in Gridcoin mining you must contribute to one (or more) of a set of whitelisted science projects, but fortunately there are plenty of whitelisted projects to choose between, covering a wide range of sciences such as Earth science, Mathemetics, Physics, Medicine, Cognitive science and artificial intelligence, and more. Full instructions on how to start mining for science can be found on the Gridcoin website. FoldingCoin works together with another large distributed computing project called Folding@Home, which is run by Stanford University in the United States. Folding@Home focusses purely on medical research into protein folds (hence the name) and is being used to look for cures and treatments for serious illnesses such as Alzheimer’s, Huntington’s and Parkinson’s. Unlike Gridcoin, FoldingCoin does not have its own blockchain, instead it uses tokens issued on the Bitcoin blockchain using the Counterparty protocol. This has both advantages and disadvantages. Using Counterparty means that, once issued, FoldingCoins are secured by the Bitcoin blockchain and its many miners – which most people agree is the most secure cryptocurrency network. It also means that they can be easily traded for other cryptocrurrencies using Counterparty’s decentralized exchange. Whilst no extra proof of work calculations are required to run FoldingCoin, it obviously doesn’t provide an alternative to Bitcoin’s wasteful PoW because the Bitcoin blockchain itself is still being used. One interesting aspect of FoldingCoin is that it enables something called ‘merged folding‘. This allows other cryptocurrencies to secure their distribution using the FoldingCoin system and means that ‘miners’ can earn additional coins on top of the regular FoldingCoin rewards for their participation. You can visit the project’s website to find some excellent tutorials on how to get started as a FoldingCoin miner. EmerCoin is a hybrid Proof of Work and Proof of Stake (with 6% interest for staking) cryptocurrency whose goal is to overcome Bitcoin’s limitations whilst providing support for research projects and high tech development in areas such as robotics and artificial intelligence. They are also developing their own decentralized DNS solution. As part of their quest to support scientific research they have set up a syustem through which anybody who wants to contribute to Folding@Home can join their team and earn EmerCoin, paid out on a regular schedule (daily at first, then monthly), for their contributions. Further information can be found on the EmerCoin website. CureCoin uses a combined system in which Bitcoin-like (SHA-256 algorithm) Proof of Work, usually performed with ASICs (custom built computer boards), is used to secure the network, whilst protein folding for Folding@Home is used to add value and utility. Users can choose to participate in either one or both of these. If you have an ASIC and are accustomed to Bitcoin mining then you can use your miner to help secure the network and earn CureCoin in return, just as you would with other PoW cryptocurrencies. Alternatively, you can use your CPU or GPU (from a regular or gaming computer) to participate in searching for cures through protein folding, and you too can earn CureCoin rewards. This dual system allows CureCoin to have its own secure blockchain whilst still contributing to science and providing an extra reason for people to buy and use the coin (supporting important research), but does still require wasteful Proof of Work calculations to be performed. CureCoin have formed a partnership with FoldingCoin which means that they can be ‘merged mined’ together. In other words, you can join the CureCoin team and also earn FoldingCoin at the same time! 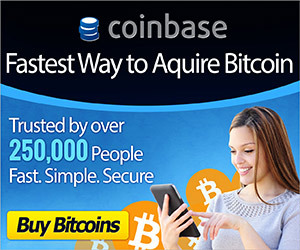 For more informantion please head over to the CureCoin website. Hi … this is a really well written article. Is there any reason CureCoin and EmerCoin aren’t included in the writeup? There really needs to be a team-neutral article covering all DCN monetized Bitcoin variants (including pros and cons of each). ….but you get idea. This is only the beginning. The only reason is my ignorance I’m afraid. I have heard of curecoin, but just completely forgot about it. EmerCoin I’d never heard of until reading your comment – I will do some research and add both to this article – Thanks!!! ASIC SHA-256 mining is only 19% of the overall payout … 76% goes towards scientific research, with the balance being paid for development, marketing and investor costs. In CureCoin 2.0 (later this year) … the SHA-256 component will be removed. But for now, remains an option. BTW, what do you think of an all-encompassing “Epistemic Standard Economy / Currency” … especially since gridcoin is venturing into Financial research – which is not quite the same as “Science”. The Epistemic concept is all about knowledge and statistics. Many people liked the term, until the wiki police yanked the article for neologism. The Epistemic Standard Economy wikipedia article had over 2000 visits. Thank you, its good to have some hard figures for that. The ‘Epistemic Standard Economy’ article was very good, its a real shame it got pulled – hopefully it can be re-instated later. Personally I see the big barrier for these coins, perhaps even more than with other currencies, as getting people to buy them and to use them, rather than selling the idea of earning them by contributing to science. Because of that I kind of like the idea that some of the distributed computing power could be put to other uses, which may give customers of those services a reason to buy some of the coin. High finance types really owe a debt to the world imo, so if they could pay some of that back by suppporting scientific research that would be great too. I looked into all these a while ago when Ripple pulled their BOINC giveaway, which I participated in, and pretty much wrote them off in my mind because I thought all the incentive was on the mining side, which I presumed would lead to a lot of sellers and not many buyers. Because I follow Counterparty, I was hearing Foldingcoin news and liked the idea of merged folding to provide distribution for small niche coins which can’t support their own blockchain, which made me look into this area again, and I saw that these coins seem to have surprisingly stable prices and even some price growth – so I guess I was wrong about the heavy selling pressure. As you know, the biggest fears in the crypto world are the centralized nature of these coins (esp. depending on universities to provide the work). Despite there being countless ways to monitor network integrity, the coins actually leveraging blockchain technology, and having a track record of uninterrupted (relatively speaking) supply of work units. People realize this space will be regulated and taxed given its hybrid for-profit/philanthropic nature. The coins will likely never be the basis of the dark economy which self proclaimed ethical egoists dream about, so there’s less encumbrance to progress relating to Bitlicense, or any other regulation on the table. For the most part, we (Epistemic Coiners) know what we are, and we have a common goal to create a science backed economy. The bets are still being waged for where the first exploits will come, and how resilient the relationship between consumers (the institutions) and producers (folders,crunchers,coiners) will stay in the face of adversity. A science backed economy is a good dream to work towards. It always sickens me how much we waste on superficial rubbish from celebrity worship to gimmicky gadgets, whilst important things which could make so much more of a positive difference go unfunded. One of the cool aspects of a science backed economy … we can still leverage enlightened celebrity voices and gimmicky gadgets (like folding proteins on our cell phones) to actually help make this kind of economy a reality. People ask “how is that possible when gold has been the standard for millennia?” yet only 10% of gold has practical implications. As these DCN projects get more streamlined, and the research gets more targeted, we can study more diseases, drug compounds, bio-fuels, fusion power & other alternative energy, weather modeling, earthquake predictions, asteroid orbital mechanics, even increasing the efficacy of automotive crash test simulations (FAE). The list goes on. The best part, with the advent of mobile DCN participation – we can extend the reach of the research to the developing world. I’d like to see Epistemic currency replace Western Union money transfers, and co-exist with services like Mpesa.